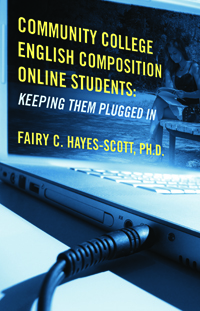 This work addresses a major crisis in online education, especially college English composition courses—attrition. 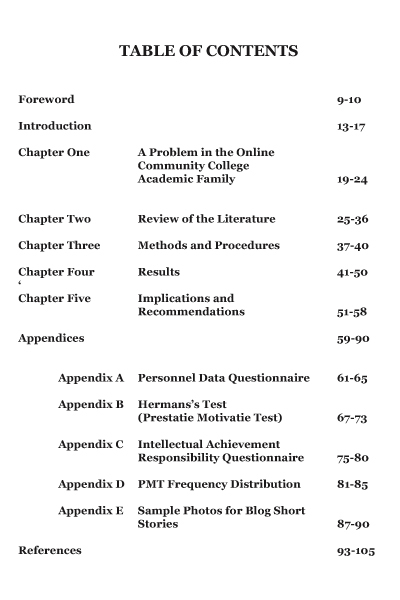 Some, yes, determine that this methodology is not the best way to learn. And so, they probably take an on-campus course. However, many do not. 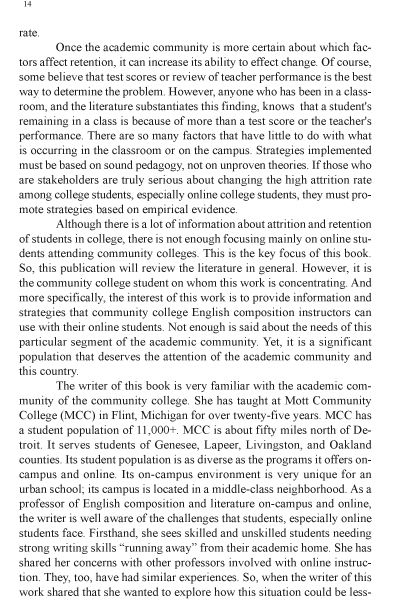 And they are students whom this book is focusing on retaining. 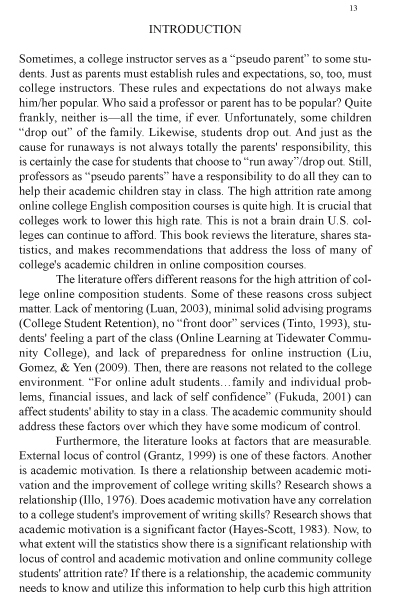 This work suggests testing instruments that may help in advising students to or not to take an online English course. 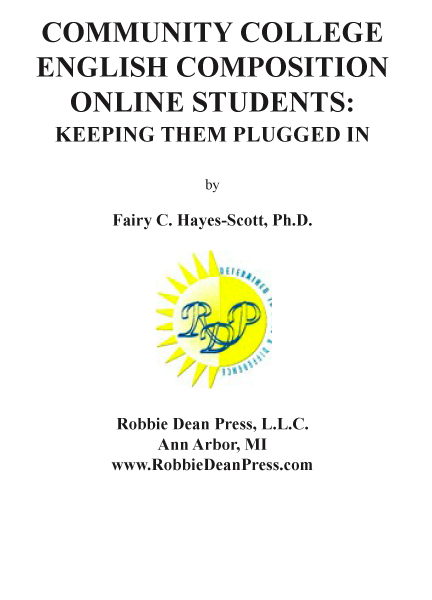 Furthermore, the author shares what is in the research regarding techniques that can be implemented in online courses that may be successful in keeping the attrition rate low. She even implements some of these techniques and reports her experiences. So, this work is not just a theoretical discourse; it is an empirical response to the theory. 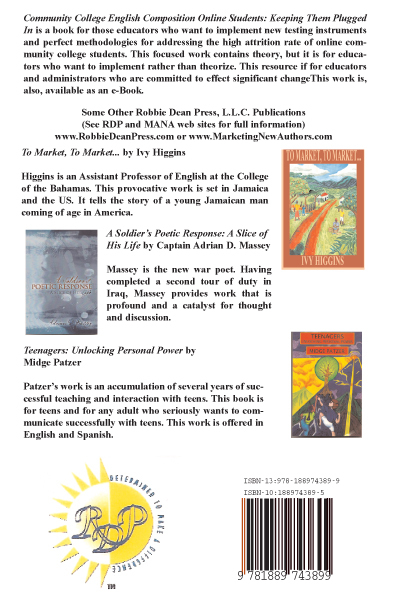 Dr. Fairy Hayes-Scott has taught various humanities courses for over thirty years. She has a classroom named after her. And she is well-known for her devotion to her students as her high expectations of every student who enters her classroom. The passion that she has for teaching has not waned throughout these years. 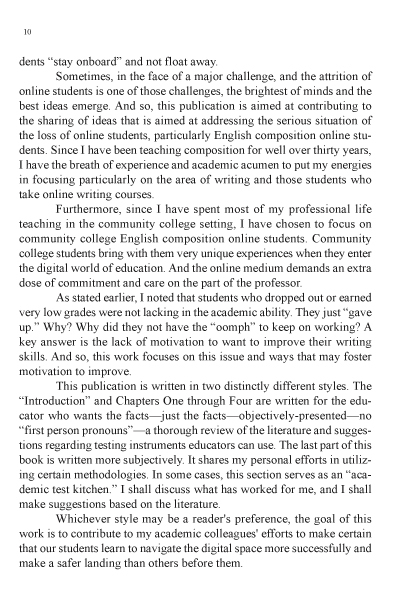 In 2003, she began teaching online English composition courses. And in these courses, she has found the new challenge of sharing information through the electronic medium. 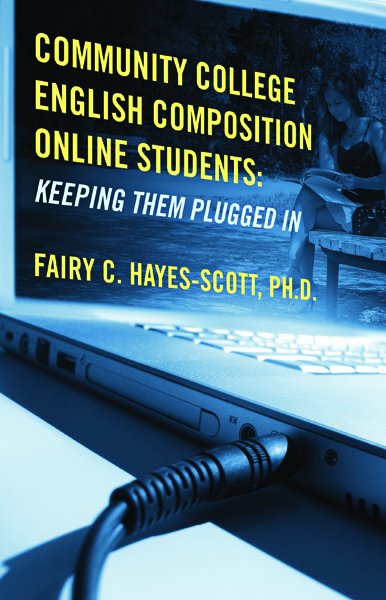 This work is an outgrowth of her concern for students not only whom she is teaching but for all those students who are challenged when taking online composition and, unfortunately, drop out. 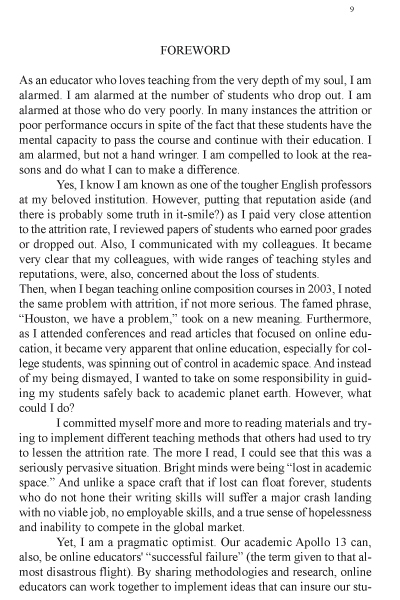 So, her devotion to all students is what has motivated her to write this work.